British-Jamaican reggae musician and producer, Dandy Livingstone, who penned “Rudy, A Message to You,” joined Neville and Sugary. “Rudy, A Message to You” which was later a hit for The Specials (as ‘A Message to You, Rudy’). His 1972 hit ‘Suzanne Beware of the Devil’ also reached number 14 on the UK Singles Chart. This single follows their new ‘Rude Rebels’ album, which they released via Cleopatra Records in autumn of 2018 with contributions by The Specials’ original guitarist Roddy Radiation (a.k.a. Roddy Byers). “We are dedicating the song to my grandson Fidel and to everyone else out there, who has been affected by violent crimes. It’s time we take back some control and teach the youth right from wrong, and the consequences of their actions. This song is highlighting the pain and the anger being inflicted on the families too. It asks the youths to just stop, think and put down the knives,” says Neville Staple. The Staples are a permanent fixture of the widely regarded and enormously active UK ska scene, performing regularly at clubs and massive festivals. They are also well known for their charitable work and social activism. With 2019 being the 40th anniversary of Neville’s successful music career, and also for The Specials and 2Tone Records, this is a timely release. ‘Put Away Your Knives’ underlines that, not only has violence not gotten better after all these years, but that it has actually escalated. “We talk to young offenders and go to some schools and chat about the seriousness of violent crimes and talk about ways of staying away from it. Some are even young parents themselves! I asked if they would want their child to know that they cut someone or even killed someone. What kind of a role model is that?” asks Sugary Staple. Releasing this song also gives rise to the occasion for Neville and Sugary to highlight the great work that the independent charity Victim Support is doing. By promoting awareness about their services, they are encouraging more support and donations, especially in relation to the help they give to families affected by knife crime. “Working closely with victims and bereaved families, we know just how destructive these shocking crimes are for everyone impacted. 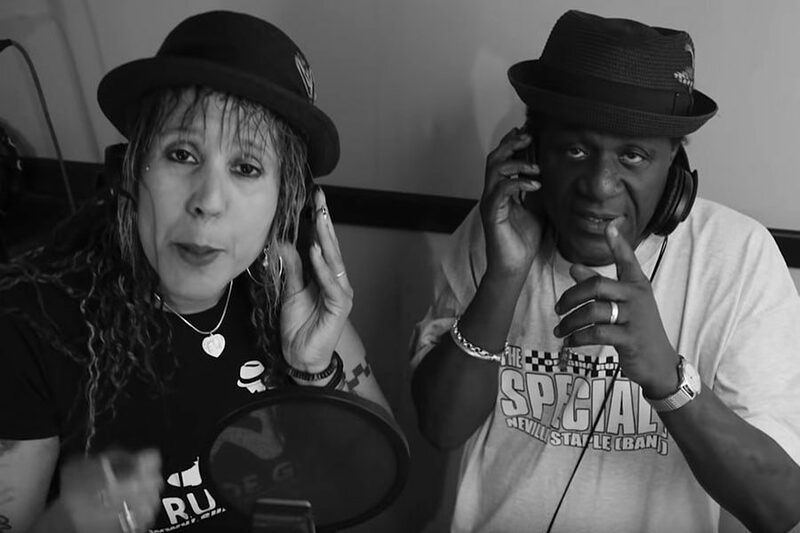 We’re really pleased to be working with Neville Staple and his wife Sugary Staple to help raise awareness of the issue and raise vital funds to allow us, as an independent charity, to continue our work. Families and communities are being devastated by knife crime and it is so important that we all come together to tackle this – organisations, government agencies and all communities,” stated Diana Fawcett, Chief Officer of Victim Support. Previous: Jim Jarmusch’s The Dead Don’t Die Looks Great! Watch The Trailer Now! Next: Joker Teaser Trailer Is Here!